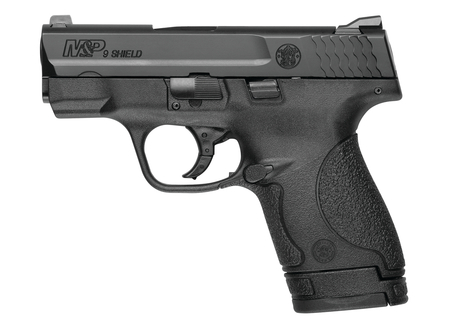 Model M&P Shield - No Thumb SafetyDouble action only. White dot front sight. White 2-dot rear sight. Matte black stainless steel slide. Black polymer frame. Striker fired. No magazine safety. 18 degree grip angle. MCR (Maximum Corrosion Resistant) finish.